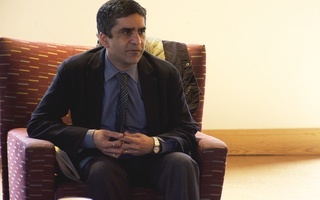 Harvard should continue its efforts to increase representation in the tenure-track faculty. In the Office of Faculty Development and Diversity’s annual report, published yesterday, administrators announced that women and faculty of color now make up 39.2 percent of tenured professors, an increase of 8.4 percent since 2008. Faculty diversity at Harvard is an issue we often feel compelled to discuss, given the challenges the University and its students have encountered in the perennial effort to make progress. These recent internal studies and surveys about the University’s hiring practices make clear that the faculty does not adequately or appropriately reflect the campus. Harvard is fortunate to boast a student body drawn from numerous backgrounds by virtue of its long reach, but efforts at representation cannot stop there. It is true that the relative homogeneity of the faculty is a larger institutional trend in academia, and Harvard is not necessarily to blame. But just as a lack of diversity was once—but no longer—a reality for the student body, we believe Harvard must continue its efforts to broaden the faculty as well. We hope the College recognizes that this is an effort that goes beyond recruitment and hiring. 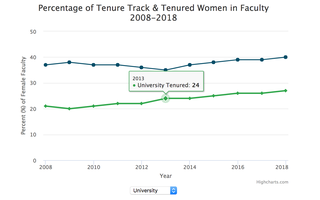 Recent surveys have shown that the percentage of tenured female and minority faculty has increased from 30 perecent to nearly 40 percent over the past decade. 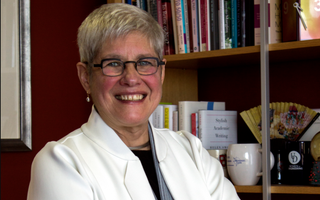 While we celebrate this progress, the qualitative experience of faculty matters too. In particular, feelings of isolation and separation must be recognized and resolved. Tenure-track faculty from underrepresented minority backgrounds have had unique challenges in growing their representation, increasing only by 1 percent—to 11 percent—in the past decade. Those who received tenure saw only a 3 percent boost during the same time period, from 5 to 8 percent. This uptick, while positive, does not alleviate our concern that a single-digit percentage leaves the issue unresolved. Harvard must focus on ways it can retain these individuals from different backgrounds when awarding tenure. The importance of faculty expands far beyond the classroom. Many students count faculty members as mentors, counselors, and advisers; it is only appropriate that the students who often do not feel that they belong can find someone to whom they can relate and who can assist them. The University should especially prioritize providing this support for students whose backgrounds are underrepresented in academia—it is crucial that students see themselves reflected in the individuals who have the greatest influences on their education. In addition to the advantages for the student body, a diverse faculty promises considerable benefits for the field of research as well. 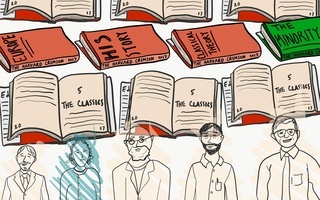 Collaboration and the pursuit of knowledge is vital to any institution of higher learning, and researchers are better suited to create knowledge in groups that have more perspectives around the table. This is ultimately in the best interests of all: to build a more inclusive institution where everyone feels they can participate in the great conversation of knowledge at Harvard. We hope the University continues its progress in diversifying this institution, in spite of the setbacks we have mentioned, and creates a more perfect union of faculty and students. The symbolic erasure of the Law School’s black faculty reflects the structural issues that still hinder Harvard from being a community where all of its members are wholly included. Want a More Robust Education? Diversify Harvard.